Stay Tuned for Opening Date! We’ve turned the ski hill into an epic Slip n’ Slide! Horseshoe Resort is now the home of the Urban Slide. 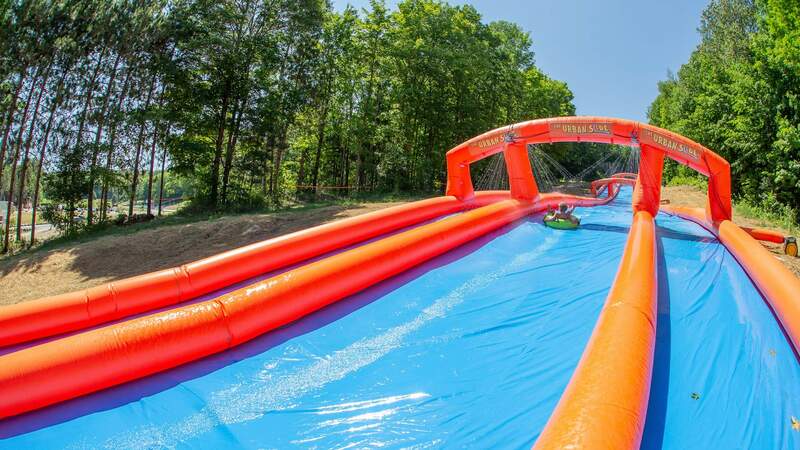 Get ready for 1,000 feet of exhilarating, heart pumping fun. Take the chairlift to the top of the ski hill and then slide back down for the ultimate slip n’ slide experience. Pricing and Hours of Operation Coming Soon!